A new season begins in Fortnite – the third in a row! Good news for those who like to dress up: the combat pass has got additional levels and new cosmetic rewards. Briefly about the main thing. Arsenal replenished heavy gun of unprecedented power. Come to a shootout with a gun worthy of a king! Owners of the PS4, PS4 Pro, Xbox One and Xbox One X consoles will now be able to fight for the royal victory at sixty frames per second. And we have worked hard on the construction regime! Epic battles – epic music! To record a new soundtrack, we invited a whole orchestra! There are no holidays too much: the world captured by the dregs celebrates the beginning of the new year according to the lunar calendar. Of course, this means that new heroes and weapons will appear in the “Battle with the Storm”! On the war as a holiday! You can already buy a combat pass for the third season to look stylish at any moment of the game! Cool prikidy, incredible hang-gliders, a variety of accessories that can be worn on the back, air marks for a spectacular fall, dancing, emotions … But it’s better to see once. Look! 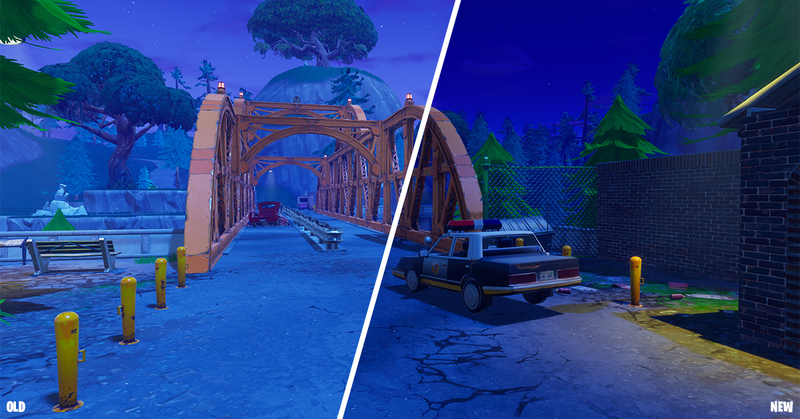 Take a fresh look at Fortnite. PS4, PS4 Pro, Xbox One and Xbox One X now support 60 frames per second, optimized for each console, so you can enjoy a smooth picture without sacrificing its quality. Who needs roads when you can fly? 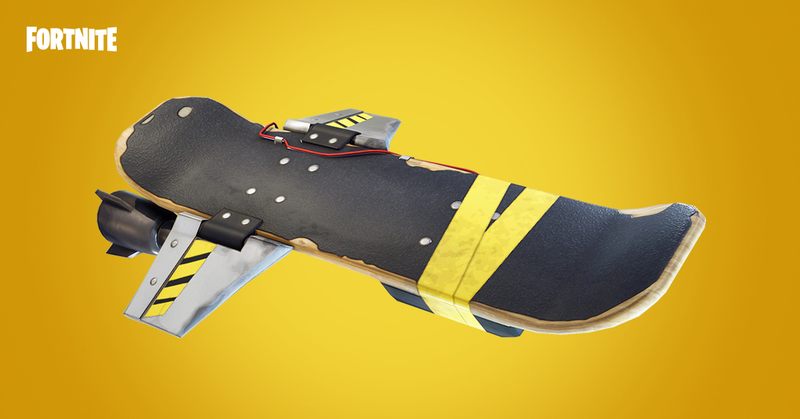 Hop on an anti-gravity board and explore the world without spending energy on running! win is alike with music. New soundtrack from Hollywood composers Marco Beltrami (films “Logan”, “The Hurt Locker”, etc.) and Pinara Toprak (television series “Krypton”, additional music for the film “Justice League”, etc.) will raise the fighting spirit of the fighters with the Storm! We screwed something here … Turbine building , automatic material change and the like! Look! Deafening and powerful. It will fit both against the dregs, and against the contenders for the royal victory! Major improvements in the construction regime! Now players can build buildings anywhere, even on cells occupied by trees, stones, and cars. Different things will no longer distract you from the construction. Building support works as before – only land and other buildings can support your buildings. If you run out of material during construction, the game will automatically switch to the next available resource. You can turn off this mode by unchecking the “Automatic material change” option in the options menu. Now you can continuously place the selected building elements, holding the main attack button. You can disable this feature by unchecking the “Turbostroitelstvo” parameter in the parameters menu. Battle Royale: switching between building elements has become smoother, especially when using a console controller and non-ideal communication quality. New soundtrack by the orchestra! Hollywood composers Marco Beltrami (the films “Logan”, “The Hurt Locker”, etc.) and Pinar Toprak (the television series “Krypton”, additional music for the film “The League of Justice”, etc.) wrote new music to play. To record a new soundtrack, we went to Nashville, nicknamed the city of music, and used the services of an amazing orchestra. “Battle of the Storm”: a new soundtrack completely replaced the old music. “Royal Battle”: remixes of songs from the new soundtrack are played when entering the game, starting the match and in the lobby. Added a mode for players with color blindness. This mode is available on the new tab “Special features” in the options menu. You can specify the intensity of this mode for the most comfortable game. We continue to refine the model and wait for your feedback – especially if you are unable to customize the display of colors in the way that is optimal for you. Hold down the use/interaction button, approaching the chest or fallen ally to automatically perform the desired action when you get to the desired distance. This also works when rescuing comrades in the squad! Now you will receive notifications if due to problems on the server some social functions become unavailable. (It is about joining groups, sending out invitations, etc.). In the Mac version, the Easy Anti-Cheat protection system has appeared. In the Windows version, the design of the header, buttons, and frames of the application has been improved. Automatic running no longer turns off when you open a card or inventory. Item icons are no longer displayed as permanently selected after you have dragged them from inventory. Reduced CPU load when activating objects with overlapping, for example, traps or triggers. Grass rendering has been optimized; this will increase the frame rate. Fixed a bug due to which incorrect numbers were displayed when displaying network statistics. The microphones connected to the controllers are muted at any change in volume. It can be found in buildings, chests and loads with supplies. We changed the pump shotgun behavior. Now, if you shot a pump-action shotgun and immediately changed your weapon, you still have to pull the shotgun shutter before the next shot. We will ensure that this does not bring any negative consequences and will try to improve these mechanics in the next versions. Grenades no longer deal critical damage. From the crossbow removed design in honor of St. Valentine. The chance to find an unusual pistol is increased by 25%. The chance to find a rare pistol is increased by 100%. The chance to find an epic silenced pistol is reduced by 33%. The chance to find a legendary pistol with a silencer is reduced by 20%. Fixed a bug due to which the laying weapon was not highlighted with a color stroke. Fixed a bug due to which the crossbow with an empty clip did not recharge when the fire button was pressed. Fixed a bug due to which the pulse grenade was not always attached to objects. Fixed a bug with recovery during recoil, due to which the crosshair was lower than it should be after changing a weapon. On the PS4, Xbox One, PS4 Pro and Xbox One X appeared game mode with a refresh rate of 60 frames per second. This mode is included in the “Royal Battle” by default. You can turn it off in the game options menu – this will improve the image quality. Optimized selection of weapons and building elements. This will make management with a non-ideal communication quality more responsive. Some interface elements are optimized for performance. Fixed a bug due to which the game slowed down when jumping out of a combat bus. Now characters with certain images do not cause a slowdown when you first meet them. Having won the “Royal Battle”, players will be able to manage their characters for another 10 seconds. Players who do not have the equipment are now displayed with the same equipment both in the game and in the lobby. Fixed a bug due to which the player sometimes did not pick up the first weapon found. Crosshair sight will no longer disappear in certain conditions. Fixed a bug due to which when changing inventory cells immediately after taking a new item, the character through the wrong item. Fixed a bug due to which loads of supplies could not be seen from afar. Fixed a bug due to which the models of other characters became gigantic with a certain quality of communication. Fixed a bug with the failure of wall traps placed behind some variants of ladders that do not block the trap. Fixed a bug due to which the player used the wrong group of items when there were several groups of the same item in the quick access panel. Fixed a rare critical server error when a player joins a match. Fixed a bug that caused a visual delay in taking the item or opening the chest. The full-screen map can now be opened while in viewer mode. In the upper right corner of the full-screen map hints about the functions of the buttons appeared. The route of the combat bus is now displayed on the map even before launch. When taking items on the screen again displays their name and number; The design of this interface element has been improved. In the tooltip for a weapon lying on the ground, an ammunition counter appeared. In the options menu of the game appeared live mode, allowing you to hide the names of players who do not belong to your squad. Under the name of the player you are watching, a counter of the enemies he destroyed appeared. Text messages no longer alert the viewer to exit the game. The message “You are X” now appears for 10 seconds, not 20 in viewer mode. On the “Battle Pass” tab a “Help” button appeared with answers to frequently asked questions. Fixed a bug due to which on the flag of a killed player was displayed not his rank, but yours. Fixed an inaccurate description of the key responsible for emotions. The Interface Scale parameter no longer affects the size of messages and pop-up text. Fixed a bug due to which pressing the Esc button canceled the action in the game, and did not cause the menu. This error prevented the opening of the menu for seriously wounded players who continued to be in construction mode. Fixed a bug due to which the character model closed the view to the audience if the player for whom they were watching, looked into the optical sight of a sniper rifle, leaning back to the wall. Fixed a bug due to which text alerts about connecting viewers continued to appear even when the “Show number of viewers” option was disabled. Increased the distance between the ammunition counters in the store and the balance in reserve. In the lobby of the preparation for the match, you can now use emotions. To do this, click on your avatar and select “Emotion”. Now in the lobby, you can see the flags, the gains and the combat pass levels of all group members. The top lobby menu now displays additional information about the group members (as on the menu during the match). Improved invitation / attachment design in group search menu. The actions available for each friend or group invitation are now displayed on the same line. The ray will no longer be happy to announce each friend invitation. Fixed several bugs due to which players did not receive invitations to the group. Removed blur, simulated depth of field. This will make the picture much clearer. Lighting at any time of the day or night now corresponds to the brightness in any quality graphics. Changed the contrast and intensity of illumination to improve the contrast and make the picture less “flat” in some hours of daytime and reduce the number of shadows at night. Fixed a bug due to which seriously wounded players became invisible if they were resurrected under water. Battle Pass in version 3.1.0 now includes unique sounds for several picks and hang gliders. Hits from a semi-automatic sniper rifle now sound different, so as not to interfere so much with players who came under fire. The error that occurred in the previous update, due to which the sound stuttered and delayed, should be eliminated. Fixed a bug due to which the sound of the pick taken in the hands of a pickaxe could be heard when other players jumped from the bus. In rare cases, the game may crash if you open the menu with ShadowPlay Highlights turned on. To avoid this error, install the latest version of the GeForce Experience application. When opening a downed load with supplies, prey sometimes appears in the sky and slowly falls to the ground. In rare cases, the building erected by the player cannot be edited. A temporary solution to the problem: click the edit button on the next building.